Phenylephrine is symptomatic vasoconstrictor that has been used as a decongestant. The majority of the symptomatic action is due to direct stimulation of the adrenoceptors and relatively little is due to an indirect effect via release of noradrenaline. 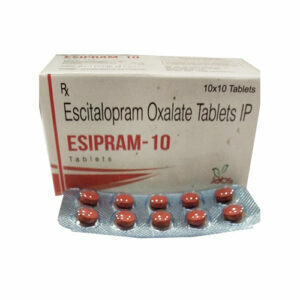 Dextromethorphan is a cough suppressor found in more than 120 over – the counter (OTC) cold medications, either alone or in combination with other drugs such as analgesics (e.g., acetaminophen), antihistamines (e.g., chlorpheniramine), decongestants (e.g., pseudoephedrine), and/or expectorants (e.g., guaifenesin). 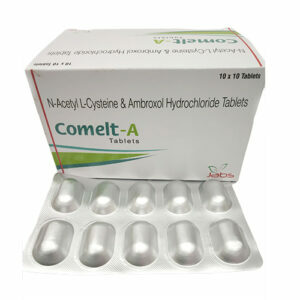 Cetirizine hydrochloride, an antihistamine, is a highly potent long-acting peripheral H1-receptor antagonist which acts both on the early and late allergic response. Cetirizine hydrochloride provides prompt relief of itchy watery eyes, runny nose, sneezing, itching of the nose or throat due to respiratory allergies. Adults: The usual recommended dose is 1-2 tablets TID or BID. Children: As directed by the Physcian. 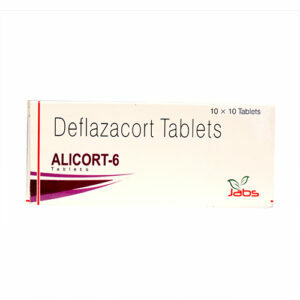 It is indicated for symptomatic relief of dry unproductive cough due to: Post Nasal Drip, Allergic & Vasomotor Rhinitis, Allergic Pharyngitis, Laryngitis & Sinusitis, Allergic cough following URTI and Surgery. 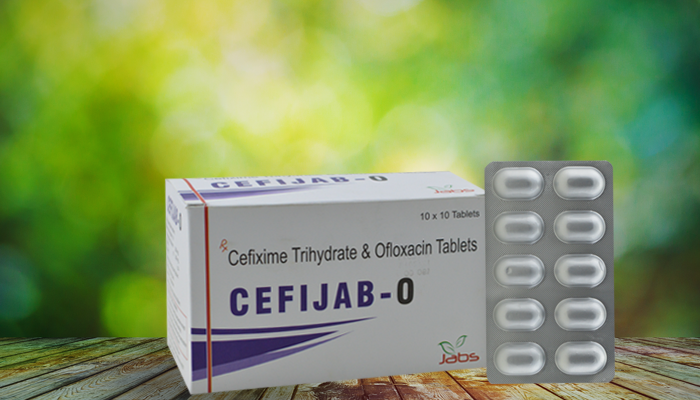 CEFIJAB Tablet is generally well tolerated and adverse events are rare. Hypersensitive individuals may display ephedrine-like reactions such as tachycardia, palpitations, headache, dizziness and nausea. Use of sympathomimetics has been associated with fear, anxiety, restlessness, tremor, weakness, dysuria, insomnia, hallucinations and convulsions. Chlorpheniramine in CEFIJAB Tablet may cause sedation. Clinically significant drug interactions may occur on concomitant administration of CEFIJAB Tablet with monoamine oxidase inhibitors, tricyclic antidepressants, beta-adrenergic agents, methyldopa, reserpine and veratrum alkaloids.